Top Producing Team providing a superior level of informed professional real estate services to buyers and sellers in the Boca Raton,Delray Beach,Palm Beach County,& North Broward County areas. "Your Professional Boca Raton,Highland Beach,Delray Beach,Palm Beach County Realtors." Providing a superior level of informed professional real estate services to buyers and sellers. We keep current of all transactions in these areas, and we are also very knowledgeable with the local schools. Husband and wife duo, Jill and Herb Levitt are the latest high-profile addition to the Lang Realty sales team and Herb as the new director of Internet Marketing. The Levitt’s have more than 16 years of professional real estate experience and are considered top resources for real estate in Boca Raton, Highland Beach and Delray Beach. The Levitt’s are consistent multi-million dollar producers and are among the top home sales teams in South Florida every year. The Levitt’s also have a particular strength in providing substantial Internet exposure for their client’s listings. According to Herb Levitt, Internet marketing is now a major factor playing a role in roughly 75-80% of real estate sales. The Levitt’s background provides their clientele extensive experience in all aspects of residential sales and various forms of marketing. Jill and Herb Levitt work out of the West Office, located at 9858 Clint Moore Road in Boca Raton. Jill can be reached at (561) 542-4669 Herb can be reached at (561) 809-4669 or via email at Wesellhomz312@hotmail.com. Lang Realty is a top residential real estate company serving Palm Beach County with three Boca Raton offices and one at Mirasol Country Club in Palm Beach Gardens. Lang Realty features a team of more than 250 of the areas’ top Realtors and special affiliations with the top country club communities in South Florida such as Boca West and Mirasol. 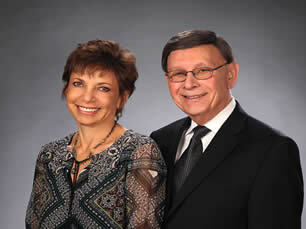 We have lived in the Boca Raton area for 27 years. 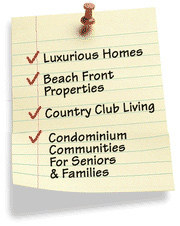 Our 7 days a week real estate schedule keeps us up to the minute on all aspects of our our areas. We aim to make the buying or selling of your home easier, more rewarding and less stressful. Featuring Boca Raton Real Estate, Highland Beach Real Estate, and Delray Beach Real Estate.